Joe's Pizza, purveyors of Santa Monica's finest New York floppy slice, is growing. Come October, the owners will open sister restaurant, Pizza Compagnia a mere block and a half away. The new spot at 1551 Ocean Avenue will double the size of the Joe's on Broadway by the conjoining of two current spaces and feature a small outdoor terrace. The focus at PC will be on "a variety of locally-sourced in house creations, like housemade ricotta, pasta small plates, individual pizzas and desserts," according to the owners. 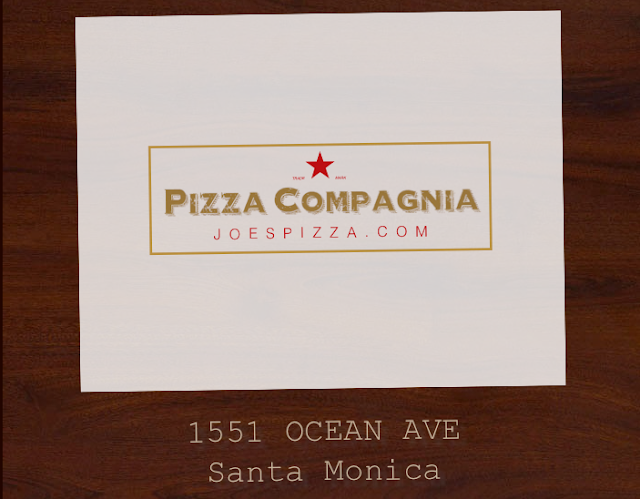 They also emphasized they hoped Pizza Compagnia would provide the area with much needed affordable dining with a to-go component. Despite the ever-popular cheap pasta haunt Fritto Misto just up the street, Pizza Compagnia should be a very welcomed addition to a neighborhood that has seen tremendous turnover in the past few months with a slew of *yawn* chains canvasing the Ocean Avenue landscape. I can't wait for this! Hopefully the parking situation will be slightly better than it is for Joe's. what's the difference between conjoining and joining? Just take a look at this hotel. I just got started ordering from my home but the whole credit goes to one and only http://altlandhouse.com. They gave the taste I wanted! I would consider them every time!